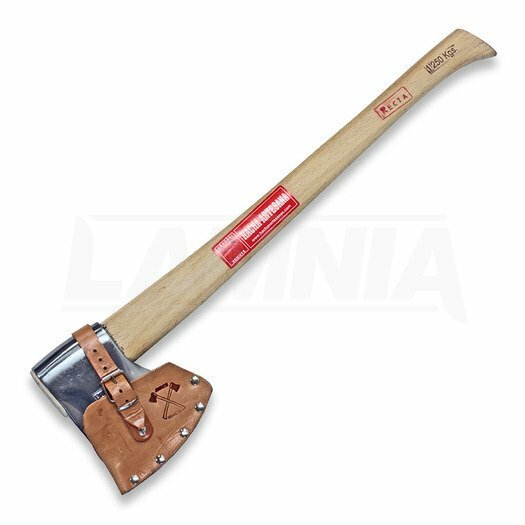 Basque axes are endemic west Pyrenaic Basque lands logger tools. Their roots are lost in history, they have had little influence from abroad, giving us this unique axe pattern. You can find two types of bit, the most curved is the classical one, it's named moon bit (ilargi ahoa) by it's form. It's specialized to get deep without getting stuck in the hard woods you can find in Basque forests. Straighter bit is used for softer woods, this bit type also has the same philosophy, sharp cheeky bit to bite deep and do not get stuck. Hafting method is unique nowadays, it's safer to use and easiest type to hang you can find. 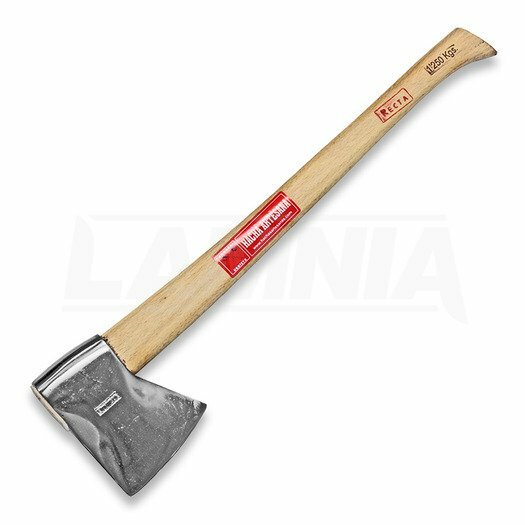 The eye is conical tapered, the handle which has the same form but widens at the top, inserts from the top of the axe head and gets stuck by pressure. If for any reason the head loosens, it won't fly free from the handle, as the handle top is always wider than the head's eye. This hanging method doesn't need any wedge, it uses solid wood handle making it the strongest hanging system. The steel is %0.45-0.5 carbon steel hardened to 55HRC, handle is made of solid beech. Līdz bezmaksas piegādei atlikuši 7.00 €!